When an email went out to a group of us at my church asking for something to give away to families after the Epiphany service, my mind immediately went to the new bottle of frankincense oil making its way to my house in the post. Never mind the fact that I was leaving in a few days for a vacation in another country – we were driving after all so I could just take my supplies with me and make it abroad! Epiphany is the service where we celebrate the arrival of the Three Wise Men who brought Frankincense, Myrrh, and Gold as offerings. I searched online for ideas of what could be made with frankincense and stumbled upon a recipe for calming lotion bars. In the end, I ended up deviating several times from the recipe so I decided to write up my version of the recipe for others. The first issue I encountered with the first recipe is that it called for Sweet Almond Oil. Having a brother with a million and one food allergies, I was reticent to use a recipe that called for a nut oil. After doing some online research, I found several bloggers who explained the properties of various oils and thus gave a good explanation for what were acceptable replacements based on their properties. In this case, Avocado Oil is the top replacement for Sweet Almond Oil. Grapeseed Oil is also an acceptable replacement. I recommend Soap Queen’s website if you’d like to look at other replacement oils. For the amounts used in the recipe, I’m not actually sure how much or little I deviated from the original recipe. Upon closer examination when standing in the Canadian kitchen of our rental house in Victoria, I realized the recipe wasn’t clear on whether beeswax and oil measurements given were for fluid ounces or weight ounces. I then realized that the very modestly furnished kitchen had neither a fluid ounces measuring cup nor a kitchen scale so I didn’t actually have a way of measuring properly either way. Luckily, one of my family members is a pharmacist and good with chemical measurements. He helped me estimate in tablespoons what it seemed like the recipe was driving at and we ended up with a very successful recipe. 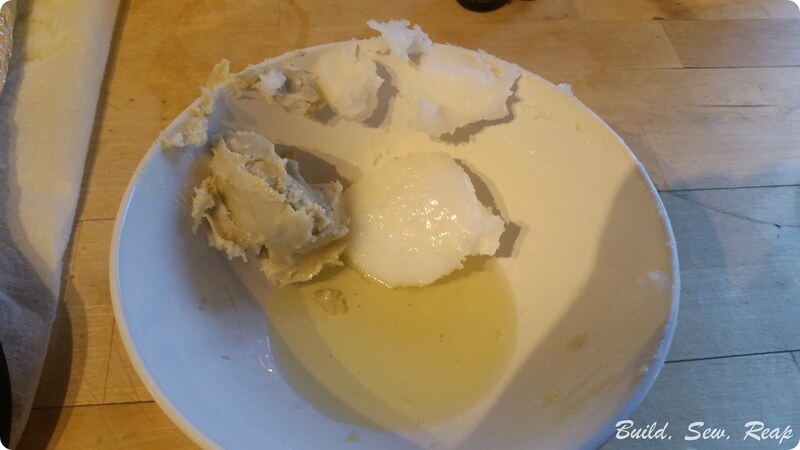 One other note on the ingredients before I launch into the actual process – the quantity that these items come in means you will be able to make A LOT of lotion bars. Like, 500 of them. Obviously there are other uses for these items (I’m excited to be crafty and make other stuff too) but I wanted to clarify. They aren’t necessarily cheap items but the price makes sense in comparison to the volume you are going to be able to produce. Double boiler – if you do not own one (like me) you can make one at home. All you need is a metal mixing bowl or an oven-safe glass bowl and a pot. The mixing bowl/glass bowl should fit nicely into the pot so that there’s room for water to boil underneath it. 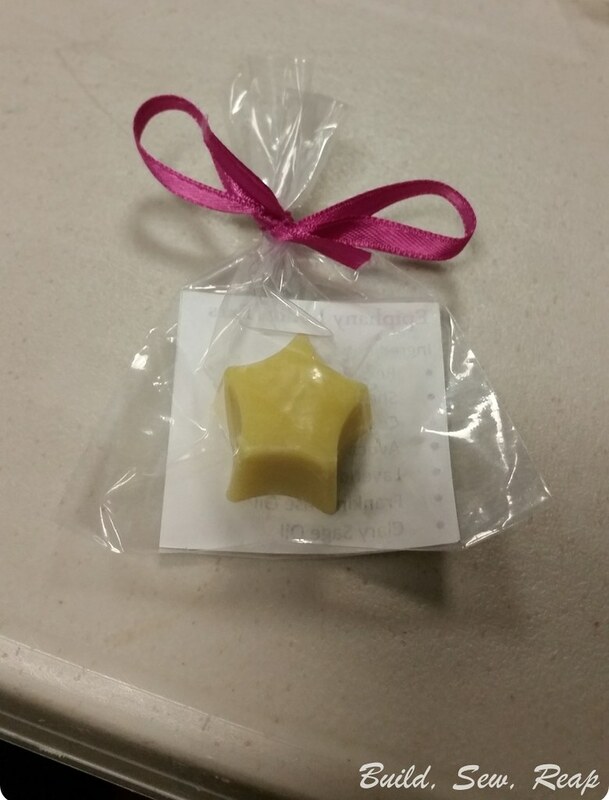 Silicone candy mold – there’s a variety of shapes available. 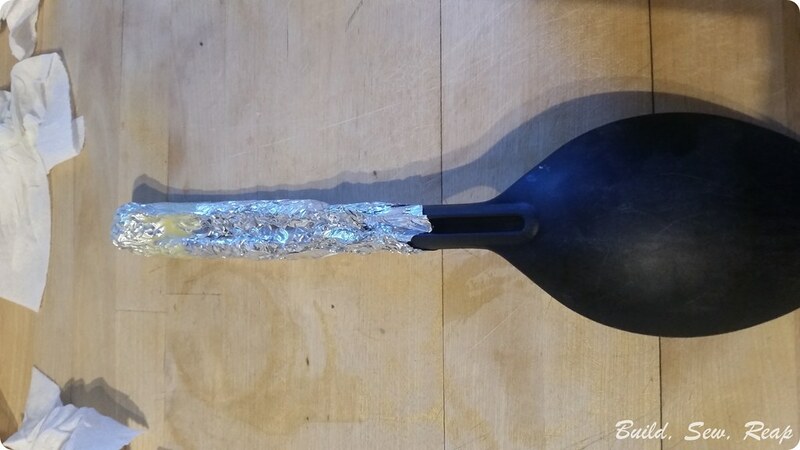 Instrument for stirring that you are ready to part ways with OR the handle of a spatula wrapped in aluminum foil works quite nicely; the wax tends to leave a film remaining on things so I improvised option 2 and it worked out quite nicely for me. 1. 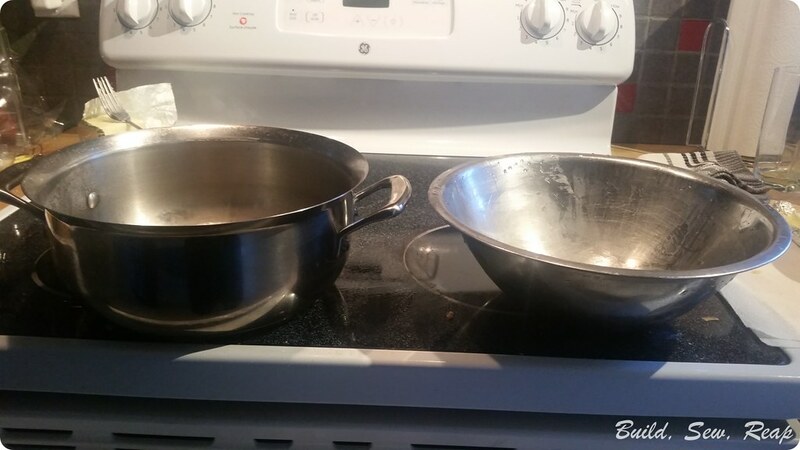 Put water in the bottom of your double boiler (homemade or professional) and bring to a boil on high heat. Once it’s at a good boil, reduce heat to medium so that you have a soft boil going. 2. 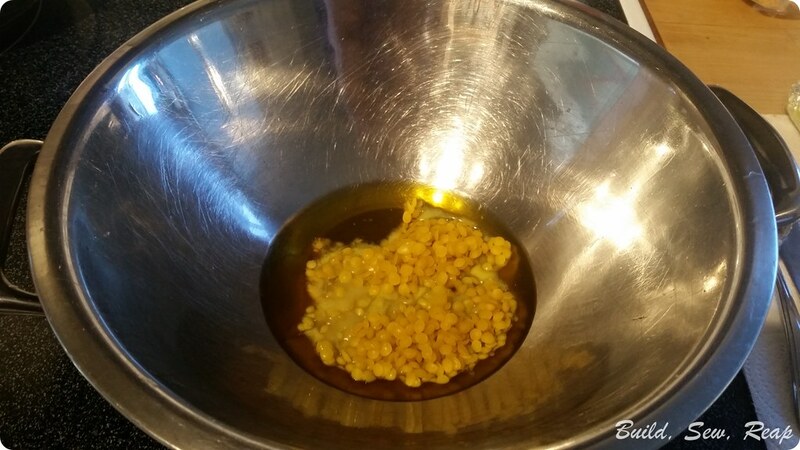 Add 5 tablespoons of beeswax pastilles to the top of your double boiler and melt. You can help the process along by stirring BUT you only want to implement this when the wax is at least 75% melted. I discovered that sticking your stirring element in too early in the process results in a lovely beeswax mace (aka clump of beeswax on the end of the stirrer). 3. While the beeswax is melting, measure out the 2 tablespoons of shea butter, 4 tablespoons of coconut oil, and 2 tablespoons of avocado oil in a separate bowl. You don’t have to mix them or anything – it’s just easiest to be able to quickly add them all at once when it’s time. 4. Once the beeswax is 100% melted, add your shea butter, coconut oil, and avocado oil and melt them. Again, you can help this process by stirring but don’t stir until 75% is already melted. 5. When the mixture is completely liquid, add the essential oils. For this recipe, I used Lavender, Clary Sage, and Frankincense but I’m excited to try other mixtures as well in the future. The amount of the oils is another key moment where I deviated from the original recipe. It called for 5 drops of clary sage but the group consensus was that the first batch was overwhelmingly one dimensional in the scent department. I tweaked the amounts for the second batch and we were quite happy with batch two onward. 6. Stir a few times to evenly mix in the essential oils. 7. 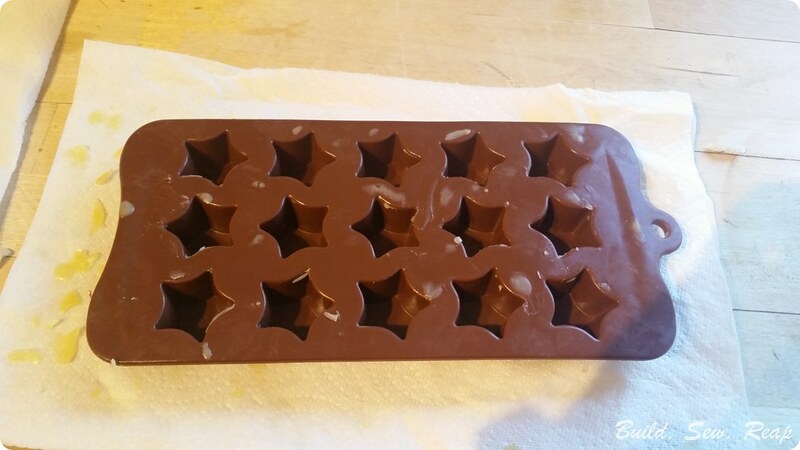 Prep your silicone mold – make sure it’s completely dry. Another fun discovery during the early batches was that even the tiniest drop of water will mess up your shape. The good news is that you can toss the bad ones back into the bowl if you’re making multiple batches to be melted down and poured out again. 8. Carefully remove the upper bowl (it’s really hot!) and pour the mixture into the mold. It’s really easy to over-pour so go slowly. One batch fills about 2 candy molds. If you only have 1 mold (like me), you can return the bowl to the stove on the lowest heat level possible. 9. Put the mold into the fridge to set up. It takes about 10-15 minutes to set. 10. 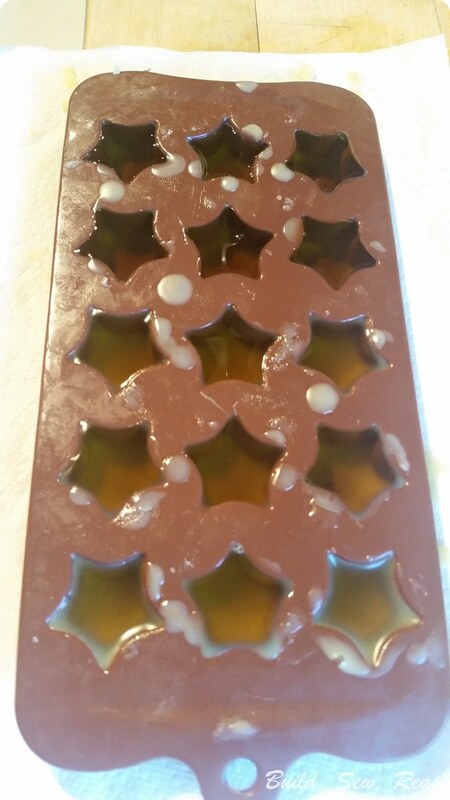 After the lotion bars have setup, remove them from the mold. They should slip out easily. Pour out the remainder of your mixture from the stove if you are using 1 mold and refrigerate again. 11. YAY! 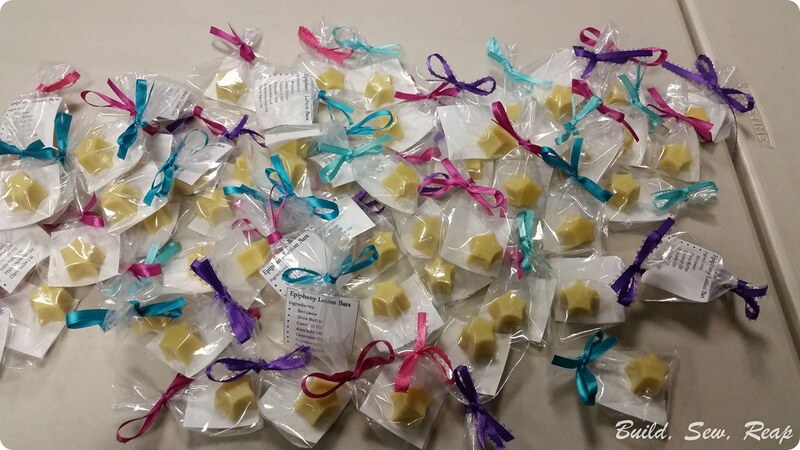 Now you have wonderful smelling lotion bars! You can store them in a small tin in your purse, give them out to friends, etc. 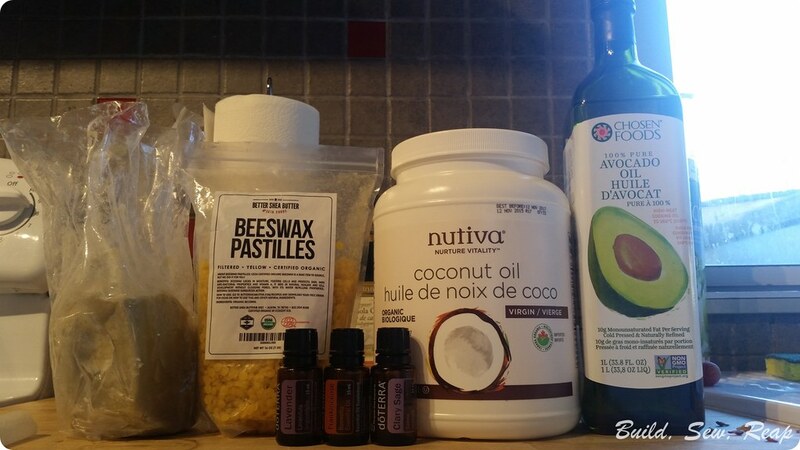 Overall, this ended up being a relatively easy recipe for such an awesome reward (I’ve bought many high quality, organic lotions bars over the years and they ain’t cheap). In the beginning, I struggled mightily and almost gave up but I’m glad I stuck with it. The first batch took about an hour from beginning to end – about thirty minutes of that being just figuring out how much of each ingredient was needed and scraping together supplies in a Canadian rental house kitchen (took us about 10 minutes to work through what to use to stir so that we didn’t ruin any of the owner’s utensils and behold the aluminum coated handle of a spatula was born). All subsequent batches took about 10-15 active minutes and 10-15 additional minutes in the fridge.